Another year is gone, and another year arrives. 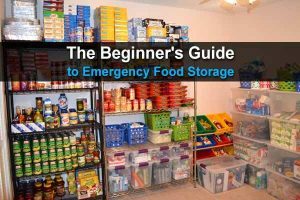 Whether you’re a beginning prepper or a more experienced prepper, the beginning of the year is a great time to commit (or recommit) yourself to emergency preparedness. 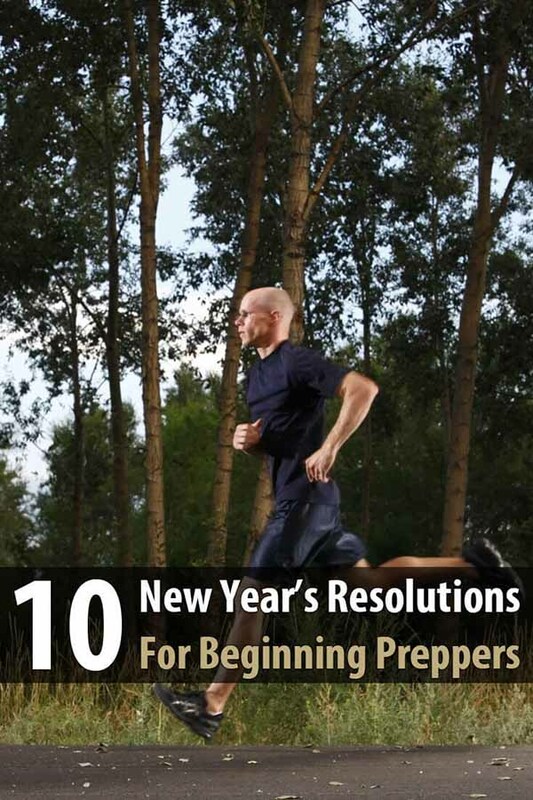 If you’re not sure what to do, check out this list of 10 New Year’s resolutions for new preppers. First and foremost, any preparations you make for survival or a potential disaster need to be done in a highly organized fashion. Keep track of all supplies, food, water, first aid equipment, tools, and anything else that you purchase for prepping. Use Excel or a similar program to make a detailed inventory, and regularly update it, that way you always know what you need and what you don’t. Prepping can be expensive, which is why it’s important that you don’t spend money you don’t have. You should already have a monthly budget for your personal finances, but if you don’t, write one up immediately. Your goal with your budget is to make sure your expenditures do not exceed your income. To do this, you may have to look for ways to save money on bills. Then, set aside a reasonable fraction of that budget for prepping related purposes. I highly recommend the 52-week savings plan. While bugging in is usually safer than bugging out, there are certain kinds of disasters where bugging out may be your only option (ex. natural disasters, nuclear power plant accidents, terrorist attacks/enemy invasions, etc). 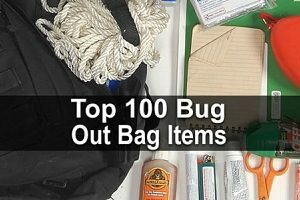 It’s vitally important that you have a bug out plan written out so you know where to go and how to get there. Have a pre-determined bug out location or rendezvous point selected and have multiple routes for getting there outlined as well. Your chances of survival will always increase if you’re in good shape. Besides, exercising everyday is good for you anyway. Set a resolution to spend at least thirty minutes exercising every single day, even if all you can manage is a 30-minute walk. That is way better than nothing. It’s crucial that these exercises are aerobic type exercises as well; a great example of an exercise would be jogging because it physically challenges your body while also not being too difficult to get done. If you have bad knees, get a gym membership and use an elliptical machine. 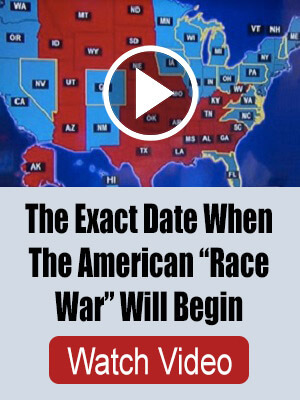 My plan is to put up a wall calendar, draw a red X over each day that I get 30 minutes of exercise, and try not to break the chain all year. Security and personal protection should be one of your biggest priorities when preparing for a major disaster. Maybe you have a gun already, but is it suitable for a survival scenario? The gun you choose for SHTF needs to be reliable, chambered in a common caliber, and be a fairly common make and model (so finding spare parts and accessories isn’t difficult). This criterion holds true for rifles, shotguns, and handguns. Here’s a list of the best firearms to have after SHTF. What good is owning a gun if you don’t know how to shoot it? The old adage goes that practice makes perfect, and that absolutely holds true for gun training. Go to the shooting range at least once a month to practice firing your gun(s). Besides simply firing at the target, try shooting with one hand, with your non-dominant hand, and conduct reloading and clearing malfunction drills. You will want to become as proficient with your weapons as possible so that when you have to use them in a real life-or-death situation it’s all muscle memory. Without ammunition, a gun is nothing more than a club. The issue though is that ammo isn’t cheap, and to be on the safe side you’ll want plenty of it for prepping purposes. Rather than try and buy a whole bulk pack of ammunition at once, just buy one or two boxes of ammunition every couple of weeks. Your stockpile will steadily grow each time, and since ammo boxes rarely cost more than $20-25, it’s completely reasonable too. As with ammo, bulk food and water is expensive. So if you can’t afford to buy a lot at once, commit yourself to buying just a little each week and adding onto your stockpile. Remember to research optimal storage conditions for food and water as well; if it goes bad, all of your money you spent on it will have been wasted. 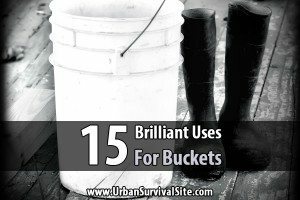 There are plenty of cool and helpful survival tools out there, and learning how to use them is one of the funnest things about prepping. Buy at least one new survival tool a month and then spend that month training yourself in the use of it. It can be something as simple as a knife or a magnesium flint striker, or it can be a tool more complicated and unique. 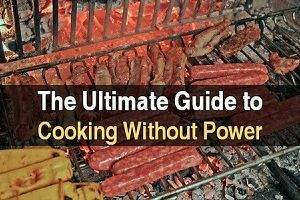 Companies are coming out with all sorts of new survival gadgets literally every month, so owning these tools and becoming proficient with them could make the difference in a life-or-death situation. All the same, you should learn at least one new critical survival skill a month as well, and spend that month becoming proficient in that skill. You won’t become an expert in one month, but you’ll be on your way. There are a multitude of necessary survival skills out there: conducting first aid, navigating without a compass, purifying water without a filter, starting a fire without fire starters, building a shelter from scavenged materials, and so on. In the long run, learning a new survival skill will easily be more beneficial to you than buying and learning how to use a new tool.